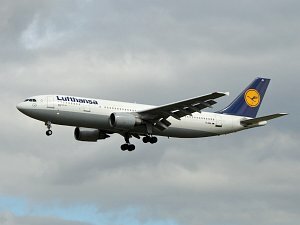 The Airbus A300 is a twin-engined short- to medium-range widebody airliner with a capacity of maximum 345 Passengers produced by the European manufacturer Airbus. The A300 was the first aircraft of the former Airbus consortium and the world's first twin-engined widebody aircraft. The early versions of the A300 were flown with a 3 man cockpit crew with flight engineer.